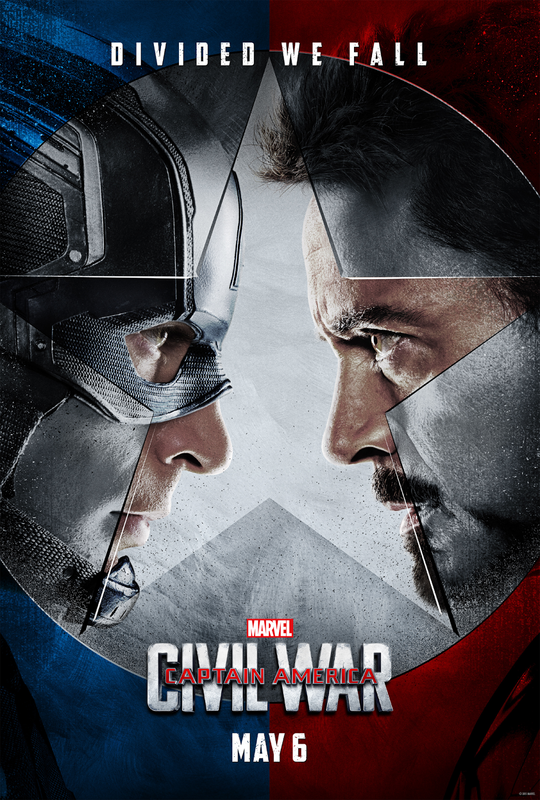 With the 13th entry into the Marvel Cinematic Universe, Marvel decided to tackle the 2006 comic book event Civil War. I was as excited as I was skeptical when the title was announced, as Civil War was the summer event that ushered me into modern comics. While the main series itself was a cobbled together mess, the overall themes and story telling was amazing if you read the event as a whole with all the tie ins. The reverberations of Civil War echoed through the 616 for years to come. Thankfully, the movie strays incredibly far from the comics while keeping certain themes intact, and is better off for it. The movie is most definitely a sequel to the amazing Winter Soldier, with bits of the Civil War comic rhetoric sprinkled in. In fact there is only one real Civil War evoking scene and the rest of the movie is the Captain America show. The story picks up right where the agonizingly long Age of Ultron left off, immediately jumping into the action with Steve Rogers leading the New Avengers in the hunt for Crossbones. It is finally nice to see everyone working in tandem, and in character as well. One of the problems with Joss Whedon's writing in Age of Ultron was that every character had the same voice and attitude, and while it worked in some cases, it didn't work well in others. This problem is largely rectified in Civil War, and the characters feel fuller and more rounded because of it. Vision doesn't make humorous asides, Captain America remains stoic and bold instead of quipping, Hawkeye remains the level headed middle man, Black Widow remains nebulous and mysterious in her meaning. The standout for character development is Scarlet Witch, and it is great to see her finally utilized as an effective member of the Avengers. This simple change sells the characters, and in turn, gives the movie more texture than most of Phase 2. The standout performance is by far MCU newcommer Chadwick Boseman as the Black Panther and king of Wakanda T'Challa. He brings a sense of gravity to the plot, and adds a very personal touch when it comes to the hunt for the Winter Soldier. Boseman also gets some of the best speeches in the film, notably the one late in third act that ties the themes of the movie together. Equally stunning was Daniel Brühl's take on the classic Captain America villain Baron Zemo. While he never don's the fluffy cape and purple mask, he is every bit the manipulator his comic book counterpart is. It is refreshing to see a villain not throw a single punch and still be a problem for our heroes. And the final twist of his maniacal plan makes perfect sense. Oh, and Spider-Man is in the movie and he is damn near perfect. Can't wait to see more of him. He is constantly quipping throughout the battle scene he is in and really nails the tone of being in way over his head. Overall, the movie hits every note you expect, and even a few you don't. This movie proves that comic book based films can be fun and still handle heavy themes. In true blockbuster fashion, I cannot wait for it's home release so I can devour it again and again.